Alexander "Sandy" McLeod Oskamp, Jr.
Alexander “Sandy” McLeod Oskamp, Jr. passed away peacefully in Lake Winona Manor on March 7, 2019, in Winona, Minnesota at the age of 88. Sandy was born on March 28, 1930, in Winona to Alexander “Mike” and Eleanore “Meme” (Baumann) Oskamp, Sr. He was the youngest of 3 children. Sandy lived in Winona throughout his childhood and went to prep school at Shattuck Military Academy in Faribault, MN. He graduated from Northwestern University in Evanston, IL with a degree in English and returned to Winona to run his father’s insurance company, Winona Insurance. He had a side occupation renovating buildings and developing land, which eventually became his main career. He became an accomplished realtor and developed “Oskamp Circle” in Gilmore Valley as well as many more properties around the Winona area and the United States. He was an involved member at St. Paul’s Episcopal Church for many decades and a member of the Rotary Club for over 60 years. Although he enjoyed his career and being involved in the community, his lifelong passion was hunting. Sandy began hunting with his father as a child and continued to hunt until he was literally bedridden. 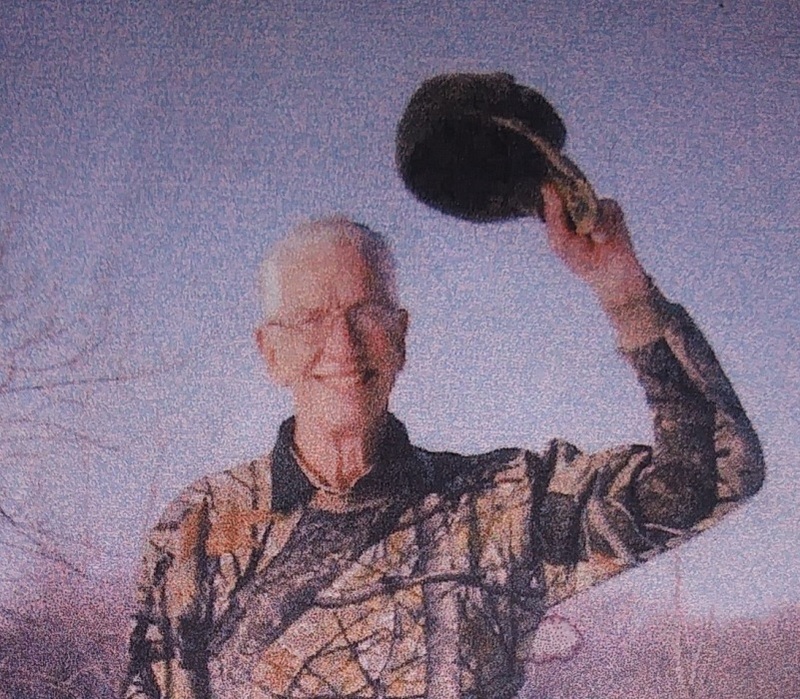 He was a very social man and took great delight in visiting with others to share stories and trade, buy, or sell guns, decoys, boats, or anything he could use for hunting. Two of his trophies included a seven point royal bull elk and a record-breaking 30.75 pound wild turkey. Sandy is survived by children Katherine (John “Jak”) Hahn; Elizabeth Oskamp; Margaret (Oskamp) Spies and her children Megan and Devin; Michael Oskamp; Patricia (Alexander) Lehnert and their children Geneva, Claire, and Gabrielle. He is preceded in death by his parents Alexander “Mike” and Eleanore “Meme” (Baumann) Oskamp, Sr., and his sisters Jeanne O. Bean and Marian O. Brehmer/Britt. A special thanks to the staff at Lake Winona Manor and Donna Davis for the unconditional love, care, and respect they gave Sandy. A funeral is scheduled for 2:00 p.m. on Wednesday, May 15, at Fawcett-Junker Funeral Home, with visitation starting at 1:00 p.m. All are welcome to attend and celebrate Sandy’s life. There's still time to send flowers to the Visitation at the Fawcett Junker Funeral Home, Winona, MN from 1:00 PM to 2:00 PM on May 15, 2019.